As the end of the 2015 USL regular season quickly approaches, it also brings us closer to trophy season, not just the USL Championship trophy, but also a slew of other awards. This year, the USL is asking fans to help determine which players, moments and other categories are truly award worthy. From Favorite Player to Best Uniform to Best Rivalry and much more, the USL is asking for fans’ help in voting for the most memorable moments of the 2015 season. 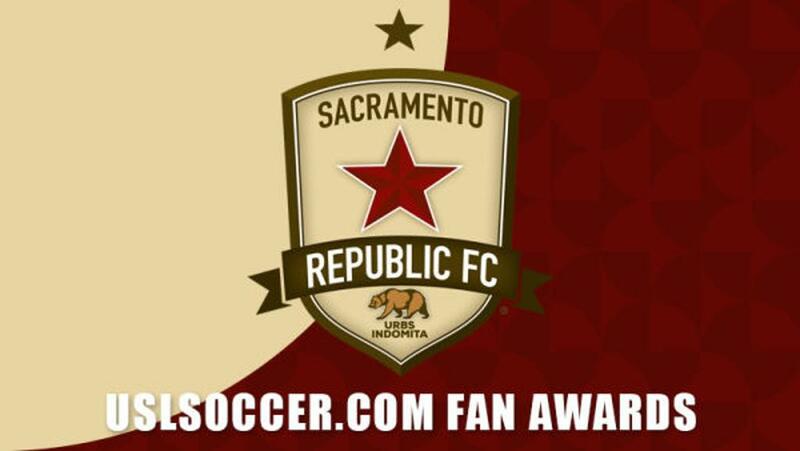 Republic FC fans have the chance to vote for their favorite player beginning today through September 17. The winner, along with the favorite player voted upon by each USL club’s fans, will make up the 24-player bracket for the USL Fan Favorite Player Award. The national bracket will kick off on September 21. Before then, fans should check back with USLSoccer.com on September 18 for the first of six other categories. Fans are encouraged to use the hashtag #USLFanAwards on social media to share who they are voting for in all six fan categories. The awards will be announced during a live show streamed on USLSoccer.com on October 14.